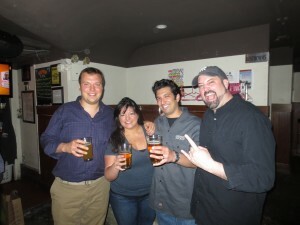 When 5 friends went out for a burger at Arthur’s Steakhouse in Hoboken, NJ on Friday, October 16, 2008, none of them, especially me, envisioned a blog that would last this long, let alone launching and running consecutive Burger Weeks in NY was in the cards. 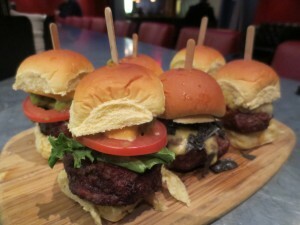 But NYC, you love yourself some Burgers and that’s why it’s my duty to bring you the best of the best of them. I’m honored to have this role and I thank each and every one of you who participated in the most Burgerific celebration in a city that truly, truly appreciates a good time and a tasty Burger. 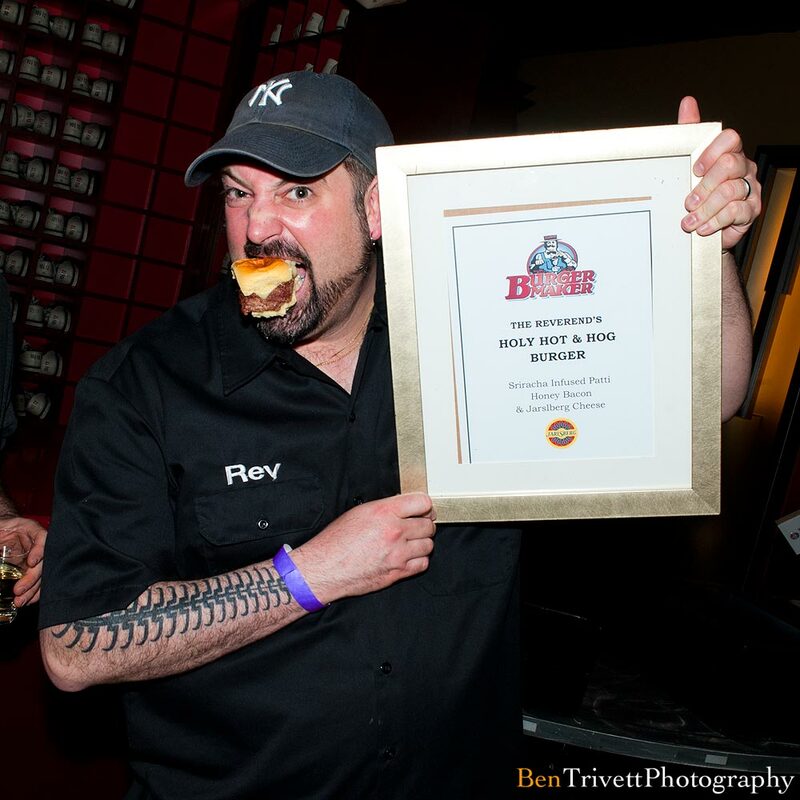 Number of NY Burger Week MVPs: 1 – Might Mike Fox attended 5 of 7 events! First and foremost, if you attended any event whether as a fan, friend or working on it, thank you. Thank you, thank you, thank you and THANK YOU. I did this for you. 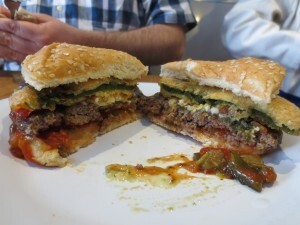 Granted there were some tasty side benefits but by being a part of NY Burger Week, you help show the rest of the world that we love our Burgers. I tip my hat and bow to you in honor. In order of appearance, thank you to each of you. My wife and talented novelist, Cara Lynn Shultz. You make my every day better and if Burgers ceased to exist today, my life would go on because I would still be able to share it with you. 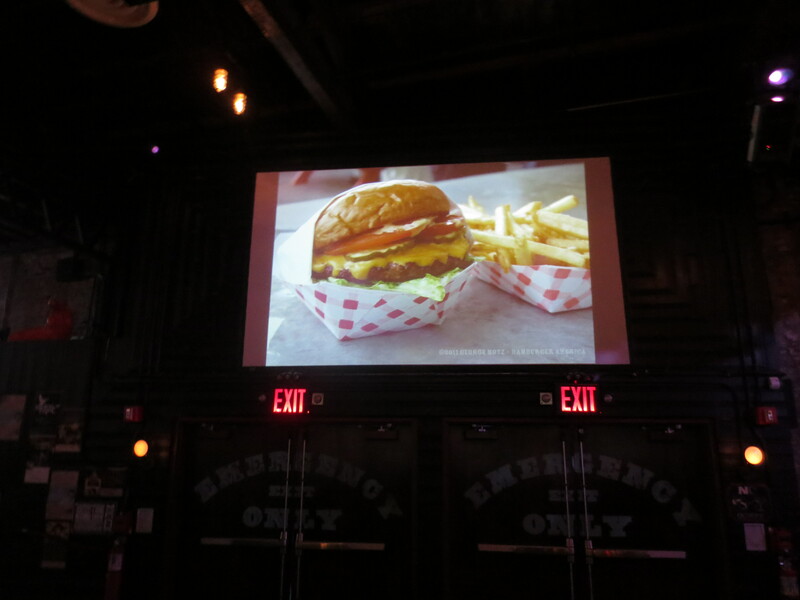 Taste What You See On the Screen at the Food Film Festival in NYC, Chicago and now Charleston, SC. The people that put on this festival are some of the nicest, most fun and passionate people I have met in the hospitality business. 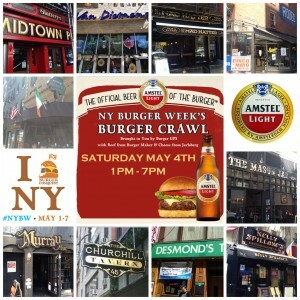 I love being a part of your family and appreciate your support of NY Burger Week. 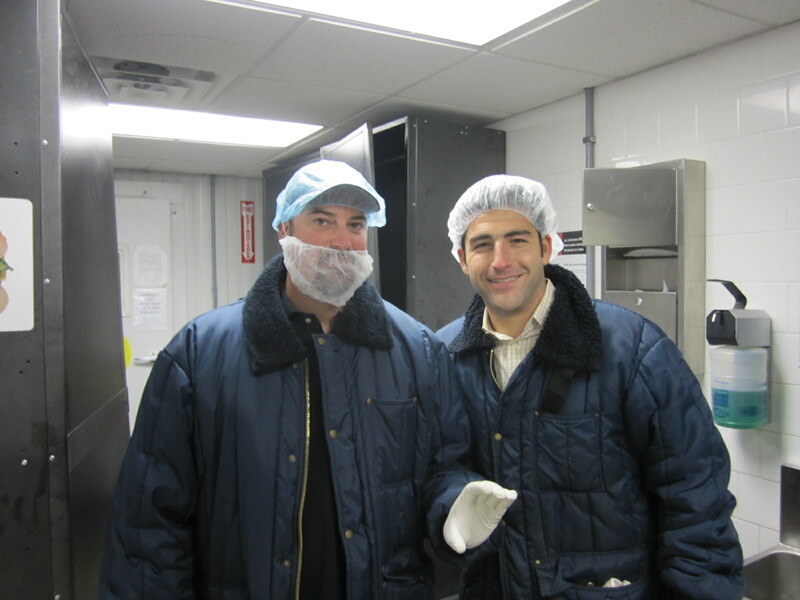 George Motz, Seth Unger and Nicole Bergman – I love you. Your support of good food & good times makes life worth working for. Jarlsberg Cheese rules, much like the people that represent it. There’s a reason you are successful and that’s because you realize Cheese is about life, it’s about community and it’s about sharing. 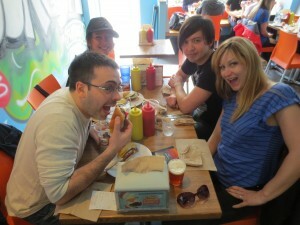 Thank you for sharing with NY Burger Week. Ronnie, Aja & Casey, you are three hardest working people in the biz. Jamie Schweid! I want your job. You wake up every day and get to talk about Hamburgers and not just any Hamburgers. Burger Maker Beef is some of the best in the business and I am honored to be able to represent your delicious product. 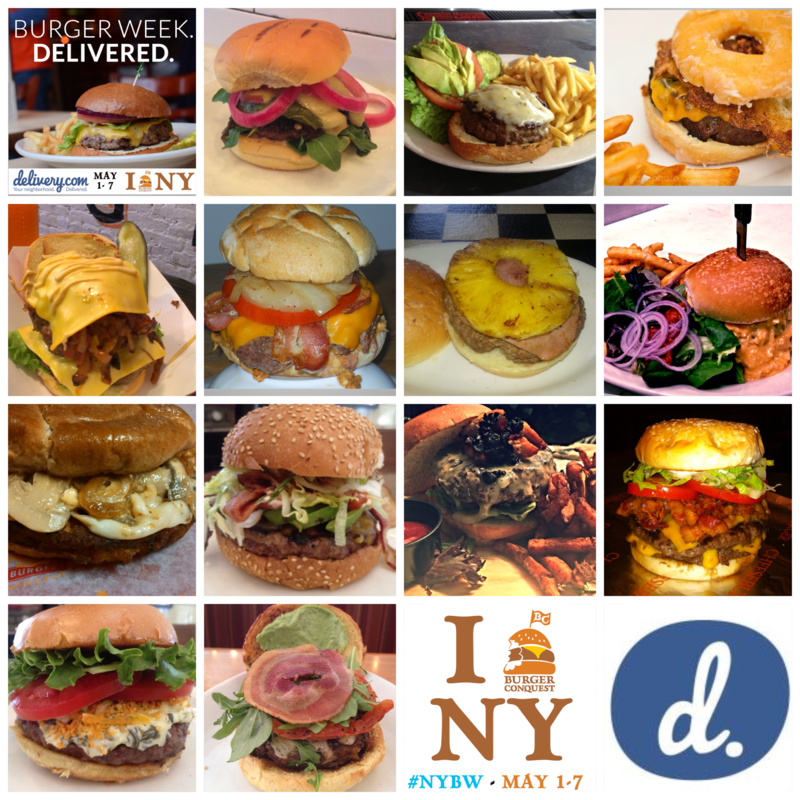 Without you, there is no NY Burger Week. Here’s to Boston, Philly, Chicago and beyond. Marc and Rob, my partners at Idle Hands Bar, thank you not just for a super fun kick off event but helping to make a childhood dream come true. To Dan & That Burger, all the best of luck buddy. I am psyched that we were able to help you take your business to all new levels. Don’t forget the little people when you have 600 That Burger locations along the Eastern Seaboard. 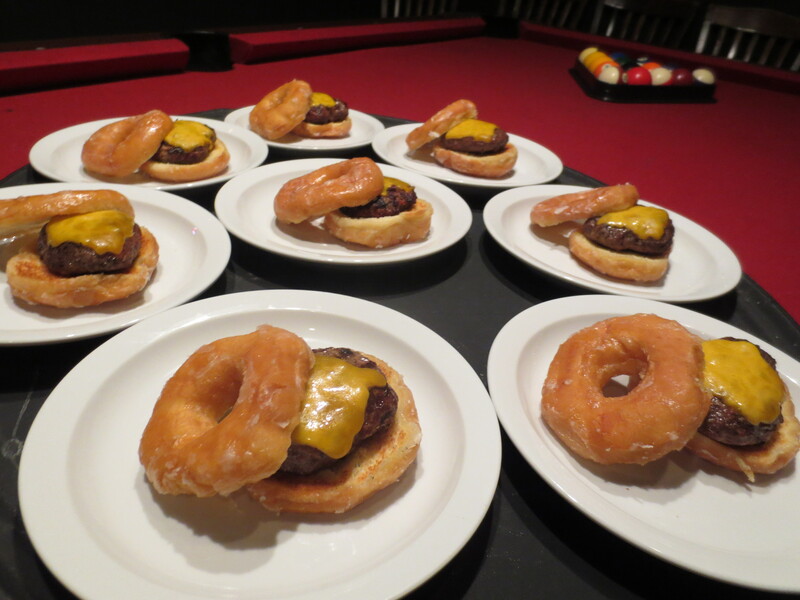 Don’t forget, you owe us a Bourbon Ketchup release party. To Ally from Green Flash, Billy from Ballast Point & Dan from Stone Brewing Co, that awesome. Let’s do it again. To Justin, Chef Ariel, Trevor and all at Harding’s, your restaurant is soon to be known as one of the best in the city. Thank you for allowing my crazy ideas into your fantastic restaurant. Jessica from Heaven Hill, I am psyched we got to work together. You are Bourbon’s best rep in the big city. The Whiskey Roundtable brings you super rad Whiskey events in NYC and you should pay more attention to what they do. Thanks Ellie. Andrew from Boozy Burbs & William Cho from Hudson 303 Sport Cafe helped change the definition of “NY Burger Week” to mean not just inside the 5 Boroughs. Thank you. 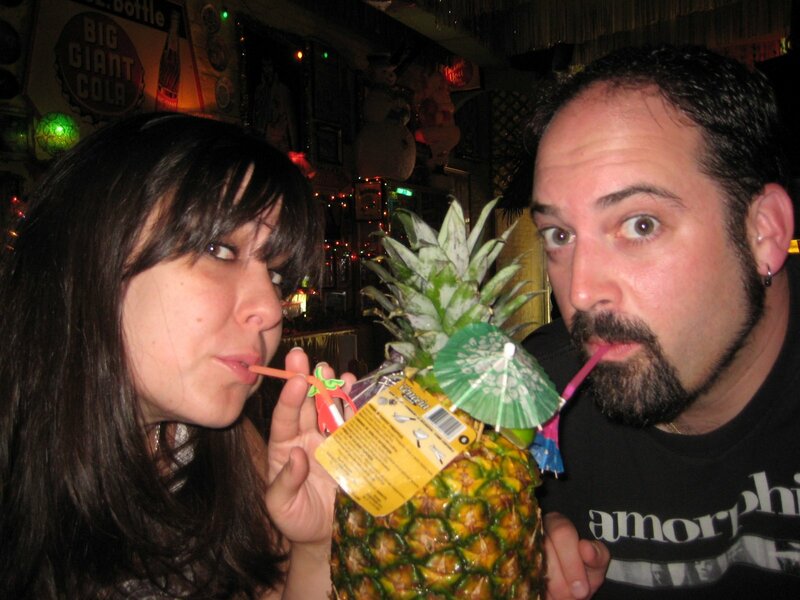 Times Square is a crazy place with a lot of crazy things going on and thanks to Jeff Gliner, Samantha Bevacqua and everyone at Bowlmor, Get Real Presents got to make it a little crazier with the world’s first Beer, Bowling & Burger Festival. Your Chef NAILED my Burger menu and you’re staff is the best in the business. Thanks for letting us do our thing. To Union Beer Distributors and all the brand managers and their Beers that we poured, you made this inaugural event happen. We thank you. Man oh man, I LOVE Potato Chips and McClures has figured out how to make some of the best I have ever tasted. People loved them and your Pickles. Your support of Get Real and NY Burger Week is beyond appreciated. To Green Mountain Energy and the Village Voice, your undying support of Get Real Presents helps us to keep building a community of educated eaters & drinkers. Ben Trivett, thanks for making us look so good! Ashley Healey, you are my new best bud. Thank you for having the foresight, drive and tenacity to make not only our partnership work but being the real brawn behind the 2nd annual NY Burger Crawl. 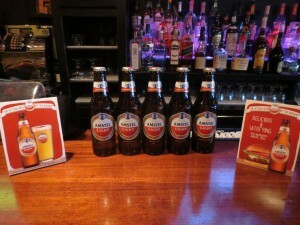 Amstel Light is not only the official Beer of the Burger but now can claim to be the official Beer of the NY Burger Crawl. 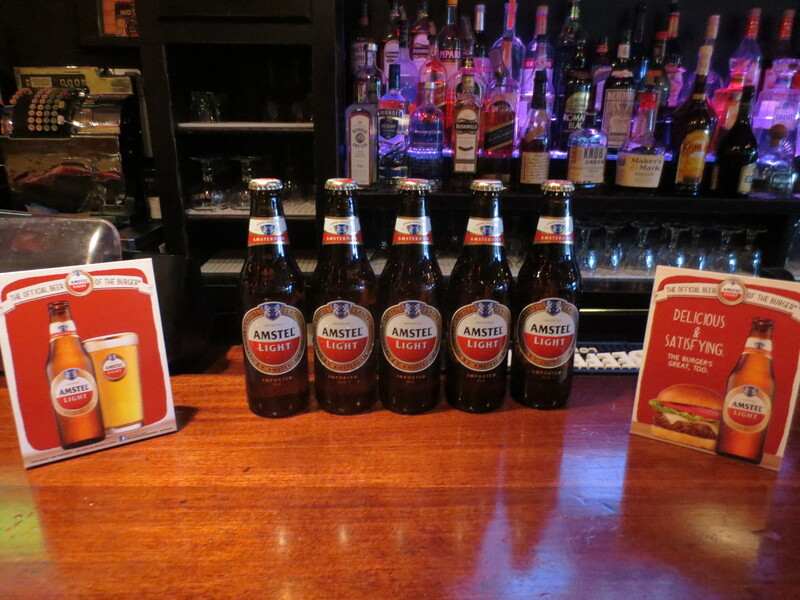 There’s a lot of bars in the city but only 10 of them who supported your Burger & Beer needs. When are you looking for a bar in Murray Hill or Kips Bay, be sure to check out: Desmond’s Tavern, Mad Hatter Saloon, Manhattan Brewhouse, Mason Jar, Murray Bar 34, Nelly Spillanes, Rodeo Bar, Slattery’s Midtown Pub, The Churchill, Van Diemen’s. Both Gilt City & Timeout Offers helped bring a lot of people out to the Burger Crawl and for that, I say thank you. More tasty times ahead. 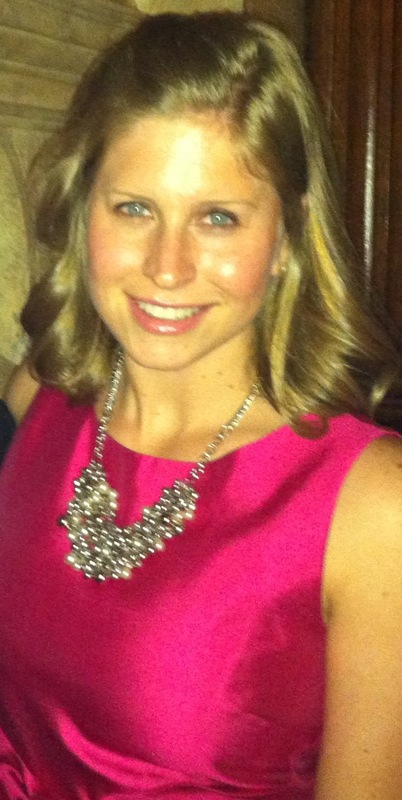 Before I say thank you to everyone at 67 Burger, please allow me to publicly thank and recognize McKenzie Mahoney from the mmmguide for not only helping to organize this event but for being one of the biggest supporters of NY Burger Week out there. You are one of my favorite people to work with. 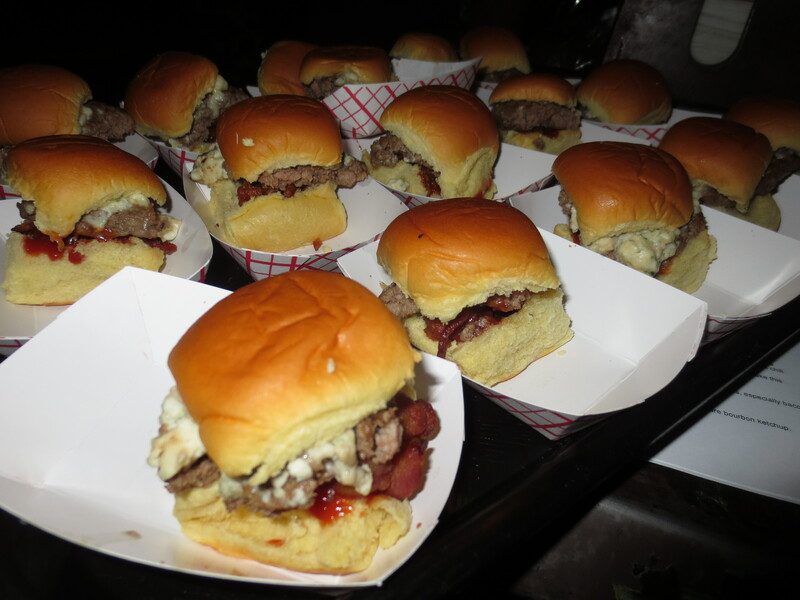 People who get to participate in things like the NY Burger Week live a charmed life. Not everyone is so fortunate and it’s you that helps to remind me that helping people less fortunate is important. Everyone should spend 2 hours volunteering with McKenzie at God’s Love We Deliver. Not only does it feel good but you’ll be seriously helping people to eat better. Onto 67 Burger! Jeff, Ed, Daphne and the rest of you, holy mackerel! 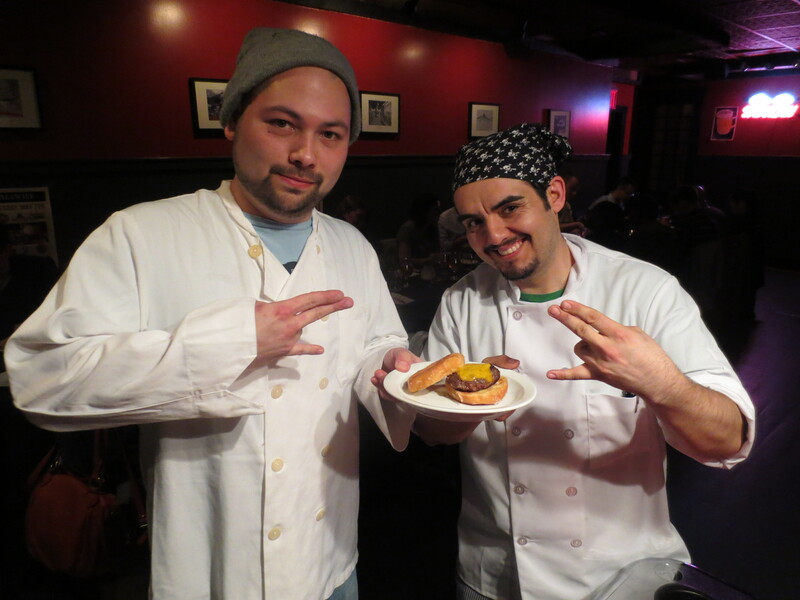 I asked if you would be willing to take over the off-menu Burger Bash and you not only did a great job but you made it your own. Start working on the menu for 2014 right now because we are coming back!! 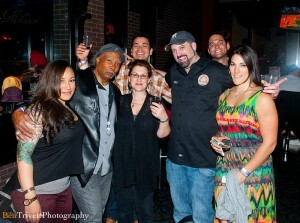 I love Craft Beer and moreover, I love the people that make it. Do yourself a favor; go visit the Empire Brewery in Syracuse. The Beer is exquisite the food is wonderful and the people are the best in the business. Watching “Burger Land” on more than a dozen huge screen TVs while bowling, drinking Beer & eating Burgers with the host of the show has got to be the next best thing to being on it. 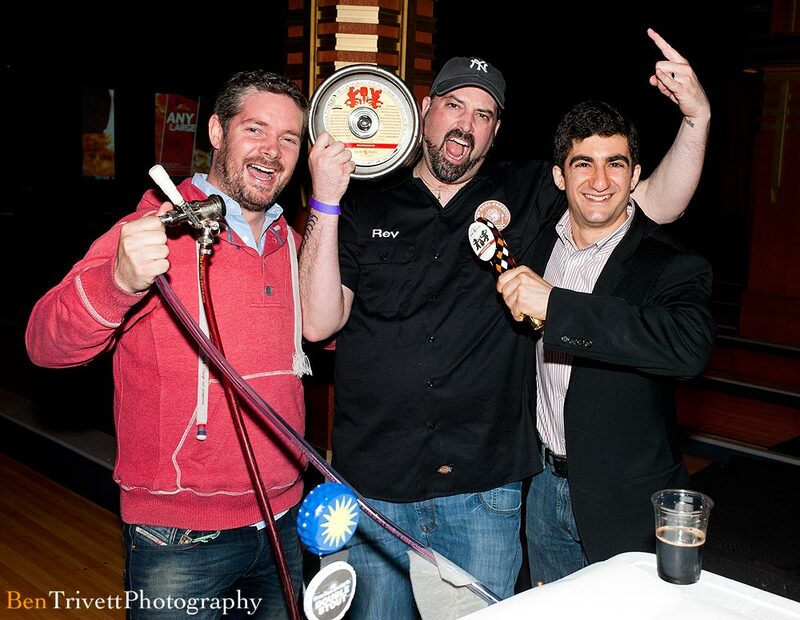 Thank you to Brooklyn Bowl, Brooklyn Brewery & Blue Ribbon for making TV into real life! I’m still over the moon from the 5 Burgers from 5 Animals paired with 5 Beers from 5 Breweries we had the Alewife’s Beer Burger Conquest dinner. Thank you to Patrick, Roz, Travis, Gregorio and everyone there for setting the bar at the highest level for future NY Burger Week events. When I’m not out enjoying a meal at one of the 26,000 restaurants in NYC, I’m eating their Food at home thanks to delivery.com. To Johnny, Neeraj, Meghan and everyone else in the organization, especially Chris Steib, you put together one of the coolest promotions I’ve ever seen with some of the best Burger restos in NYC with your “Burger Week Delivered” initiative. Thanks to you, I get to say thank you to 5 Napkin Burger, Big Daddy’s, Bourbon Street Bar & Grille, David Burke at Bloomingdale’s, Duke’s, House of Brews, Lucky’s Famous Burgers, Mikey’s Burgers, Paul’s Da Burger Joint, Sidewalk Cafe, Black Shack, The Burger Bistro, The New York Beer Company, White Star & Whitman’s. The Burgers that each of you created were magnificent and bold. 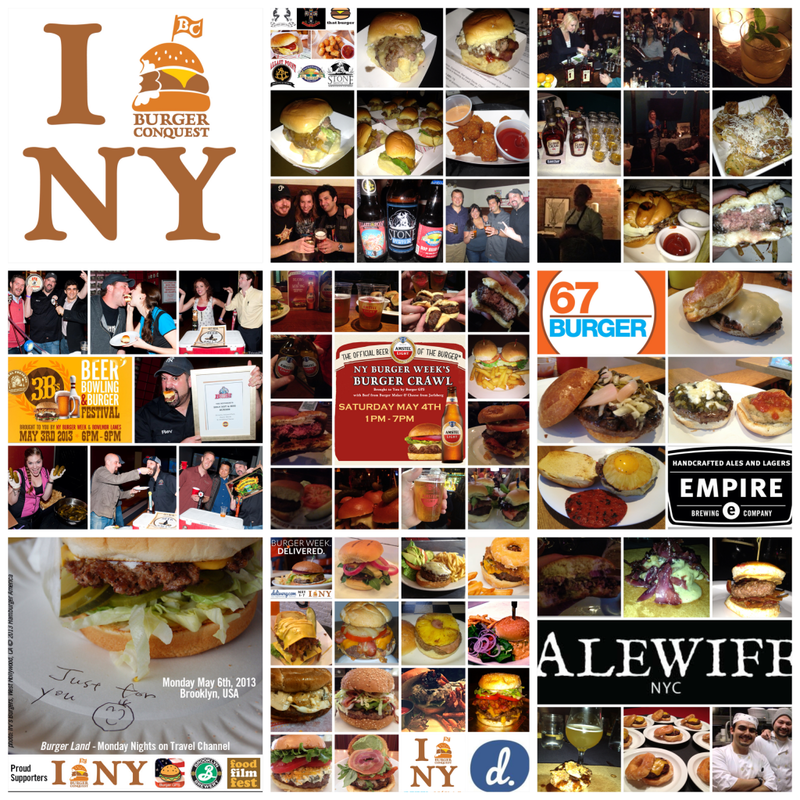 Some special shout outs go to all of the following media outlets that supported NY Burger Week and helped me to make sure you knew it was happening. 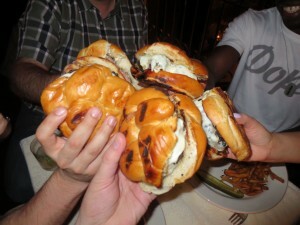 UNTIL THE NEXT BURGER WEEK, BE BURGERY TO EACH OTHER! This entry was posted in Bar, Beer, Best Burger in New York, Brooklyn, Burger Week, Burgers, East Village, Event, Festival, Food Film Festival, Get Real, Gourmet Burgers, Hamburgers, National Hamburger Month, New York, NY Burger Week, Queens and tagged 67 burger, alewife, amstel light, beer, beer pairing, best burger, best of, boozy burbs, bourbon, bowlmor, brooklyn, burger bash, burger conquest, burger crawl, burger gps, burger maker, Burgers, burgerweek, cheese, chef ariel fox, chef dinner, ciancio, craft beer, eater, Event, festival, food film festival, french fries, george motz, get real, get real presents, Gourmet Burgers, guns and roses, hamburger, Hamburgers, hardings, hudson sport cafe 303, idle hands bar, jarlsberg, mcclures, national hamburger month, new york, NY Burger Week, NYBW, nyc, off-menu, queens, rev, review, rockland county, salad conquest, that burger, tickets. Bookmark the permalink. 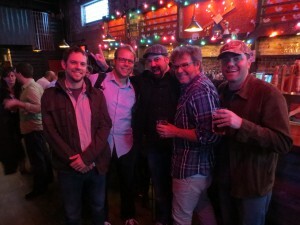 Hey – Kudos to you Rev, for organizing an awesome nyc happening. 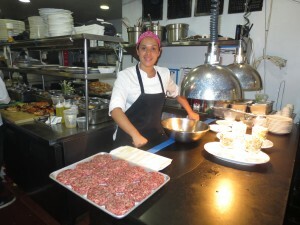 Your enthusiasm and passion to bring folks the best food culture experience is contagious, in the best possible way!